Why Breakfast is the Perfect Kickstarter to Your Day - A Rose Is A Rose Is A Rose! We all know that breakfast is the most important meal of the day. But it wasn’t the case for the three of us in our family, till a few years ago. The child wasn’t hungry (and awake) enough to eat breakfast, while for the husband and I, the hustle and bustle before leaving for work did not give us enough time to have breakfast in peace. It was either a quick bite in the car or hurriedly grabbing something in the office cafeteria. A health scare, made us slow down and change our habits. The most important change that we made in our habits was taking 10 minutes to eat a nourishing breakfast. Over a period of time we realized that making breakfast a priority had a lot of benefits. Since we barely found the time, we switched to a quick fix for most of our days – Kellogg’s cereals. For the kid, it alternated between cornflakes and the Muesli; while my husband and I switched between Muesli and the All-Bran Wheat Flakes. Besides the fact that Kellogg’s has been a part of my life since childhood, the fact that their products are highly nutritious and yet an extremely convenient option for people who are in a rush in the morning, makes it a perfect option for breakfast. Breakfast boosts memory and concentration. I have read that when you skip breakfast, the brain does not get adequate nutrients – especially after an overnight fast. Studies have shown that school children who regularly eat breakfast have improved memory performance, attention, ability in problem solving and better comprehension during reading and listening. Because dietary carbohydrate breaks down into glucose, it is important to get the right amount of carbohydrates at breakfast to provide energy to the body and the brain. 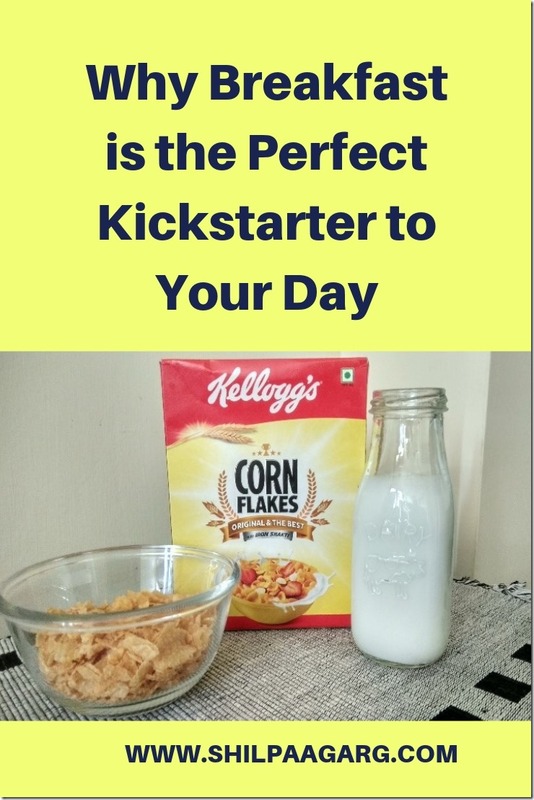 Enjoy your breakfast with Kellogg’s cornflakes along with milk/ curd and your favourite fruit / dry fruit to provide you energy to set you up for the day. Breakfast should provide essential vitamins and minerals. Fruits, milk, yogurt, eggs, provide vitamins, minerals, anti-oxidants and fibre. Studies show that when essential nutrients are missed at breakfast, people typically don’t compensate for that loss during other meals. Kellogg’s ready-to-eat cereals are fortified with key essential vitamins and minerals and can help you meet the breakfast requirements of these nutrients. Breakfast helps manage body weight. It’s a common belief that skipping breakfast helps one lose weight. Skipping breakfast as a weight control strategy can backfire. Research shows that adults and children who skip breakfast end to weight more than those who eat breakfast regularly. People who eat breakfast regularly tend to have a lower Body Mass Index (BMI) and often have healthier body weights. Several studies demonstrate that habitual breakfast eaters are less predisposed to overweight and obesity compared to those who skip breakfast. Breakfast lays the foundation for the energetic start. Cereal-based and preferably fortified breakfast cereals can provide up to 25% of the recommended daily intake of key essential micronutrients. Kellogg’s ready-to-eat cereals are fortified with key essential vitamins and minerals making it my choice for a great start to the day!! Breakfast is indeed the most important meal of the day. Breakfast fuels you up and gets you ready for the day. And if you think you are always on your toes with your busy schedule, why not pick up a pack of Kellogg’s cornflakes today? This national nutrition month, let’s #BreakTheHabit of skipping breakfast. Join me to spread this message, comment below and share this post with your loved ones reminding them to #Breakthehabit of skipping breakfast. Ya, breakfast is must for the day. Thank you for guiding. Earlier, I used to be the queen of skipping breakfasts. But now, this is the most important meal of the day for me. I never skip it and trust me it has helped me lose weight. Kelloggs cornflakes and muesli has been a staple breakfast for me and I have it at least twice a week with milk or yogurt. I love it! 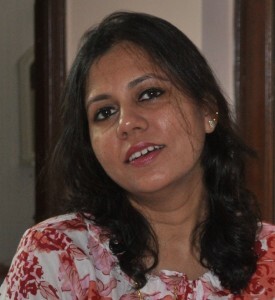 By the way, nice post, thanks Shilpa ji! Breakfast is very important, Shilpa and woke up late to this important face. For years I’ve skipped breakfast and little do we realize after the body rests during sleep it stands important to eat. I like Muesli and sometimes a banana work out fine while Poha and sandwich or cookies help me a lot. It’s a very important post to read on the nutrition facts. I never, ever skip breakfast. It is the most important meal of the day for me. Starting he day on an empty stomach ensures a bad day , as far as I am concerned. There was a time when I only had chai+ biscuit before leaving the house, but soon sense prevailed and I switched my habits. Today kellogs is my 2 minutes breakfast solution. Very well said buddy. Skipping breakfast to loose weight is the biggest myth. I ensure I have healthy brkfst each day. Indeed it is the most important meal of the day. If I ever skip my breakfast, I invite a migraine so I make sure to cook healthy and drool-worthy meal daily. You know Shilpa, at time we need such reminders. I usually do not skip, but from past week, I’m missing out my breakfast routine. Set to not break it again. Thanks for this post.